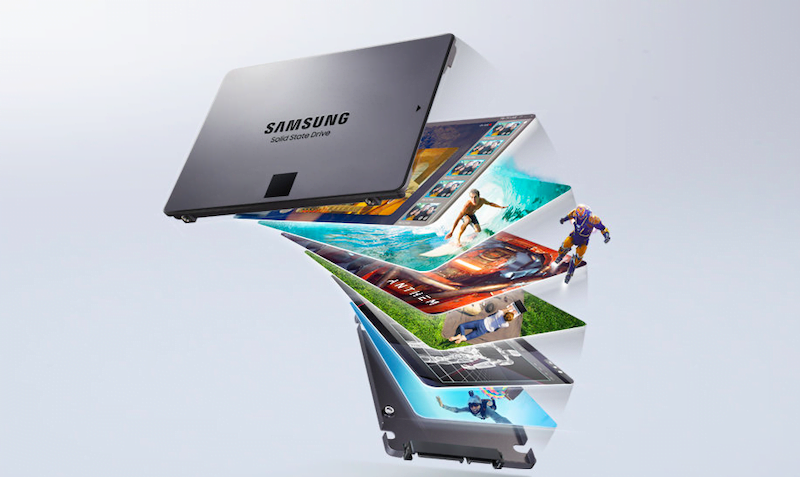 Samsung India today unveiled its new consumer solid state drive (SSD) lineup — the Samsung 860 QVO SSD — featuring up to four terabytes (TB) of storage capacity. Built on the company’s high-density 4-bit multi-level cell (MLC) NAND flash architecture, the 860 QVO aims to make terabyte capacities more accessible. “There is a rise in demand for higher capacities and greater performance when it comes to storage devices as consumers, today, are producing, sharing and using more high resolution files, which include graphic intensive games and 4K videos,” Sukesh Jain, Senior Vice President, IT and Mobile Enterprise Business, Samsung India, said in a statement. Mainstream PC users handling large multi-media content often need to upgrade their PC’s storage to improve everyday computing experience. Samsung said the 860 QVO fits perfectly into most standard laptops or desktops as it is based on the commonly used Serial Advanced Technology Attachment (SATA) interface and 2.5-inch form factor. The 860 QVO will be available in India from January 2019 at a starting price of Rs 11,249 for the 1TB model, Rs 18,749 for 2TB Model and Rs 37,499 for 4 TB model, Samsung said. How do you suppose that will happen? Chinese stealing SK tech or what? Xiaomi just assembles phones, SSD is something that they don’t have the cohones to make without acquiring the said tech via buyout, or like I said stealing others’ trade secrets, like all Chinese do! I don’t know what to tell you if you think these drives are expensive for a SSD and that anyone can commence semiconductor business on a whim.